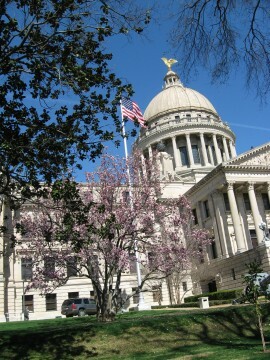 The 2019 Regular Session of the Mississippi Legislature convened on January 8, 2019, and adjourned Sine Die on March 29. The Center for Mississippi Health Policy tracked selected health-related bills throughout the session, posting status updates on this page. Listed below are selected health-related bills that were enacted during this session. Click on the bill number to access a copy of the bill and view its history. Click on the bill’s title to open a drop-down box and view more details about the bill. There are also links to legislative schedules, committee member listings, legislative deadlines, and daily calendars in the sidebar to the left. SN 14	…	Dr. Lucius Marion (Luke) Lampton, Magnolia, Mississippi, Mississippi State Board of Health as a Licensed Physician, term beginning July 1, 2019 and ending June 30, 2025. SN 15	…	Elayne Hayes Anthony, Ph.D., Madison, Mississippi, Mississippi State Board of Health as an individual with a public health background who is not a medical doctor, term beginning July 1, 2019 and ending June 30, 2025. SN 72	…	Robert Jackson (Bobby) Moody, Sr., Louisville, Mississippi, State Board of Health as an individual with a background in public health, six year term beginning July 1, 2019 and ending June 30, 2025. SN 90	…	James Lafayette (Jim) Perry, III, Jackson, Mississippi, State Board of Health as an individual with a background or interest in Public Health, six year term beginning July 1, 2019 and ending June 30, 2025. Last modified: April 23, 2019 8:00 a.m.